My 14-month old baby has always liked it when I read to her, but lately she's taken reading to a whole new level. She loves to sit and "read" books by herself, and will read each page from left to right. She even knows to turn the pages at a regular reading pace! Lately Kaitlyn has taking reading to a whole new level. She'll go get a book, carry it to me, back up into my lap, and hand me the book to read it to her. I read the book (she turns the pages---and she knows when it's time to turn the pages), we finish the book, she puts the book down, gets up and then goes and gets a new book. This process can be repeated 10 to 20 times. I have to distract her with a toy to stop her reading binges! Kaitlyn's favorites are the little board books, anything by Dr. Seuss. 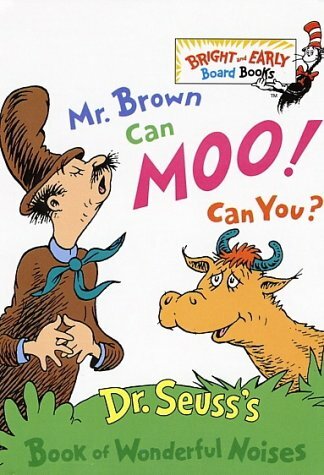 Kaitlyn has three books we have read countless times---Put Me in the Zoo, Oh the Thinks You Can Think!, and Mr. Brown Can Moo! Can You?. She never tires of reading---but does that really surprise you? Fellow moms, are your kids readers? And how old were they when they really started liking books? Fourteen months seems young to me, to be so into reading, but what do I know? That's great! My daughter loved books at a young age too. Before she could talk, she'd flip through books making baby noises like she was reading. Precious! I am doing my best to foster a reader. She has tons and I'm always trying to encourage she look at books. I can't wait for this stage you speak of. 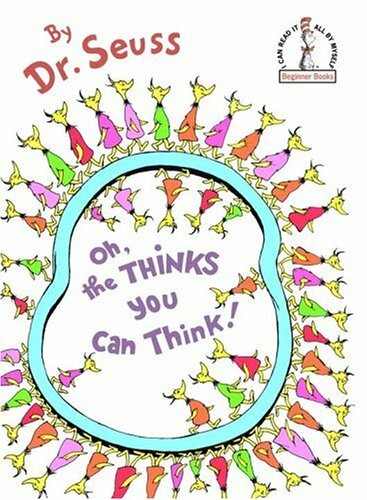 My favorite to read to her is Oh the Thinks You Can Think! It's short, sweet, and has a great message. My son loved to be read to and seemed to be off and running towards being a reader when he was your daughter's age through beginning school. 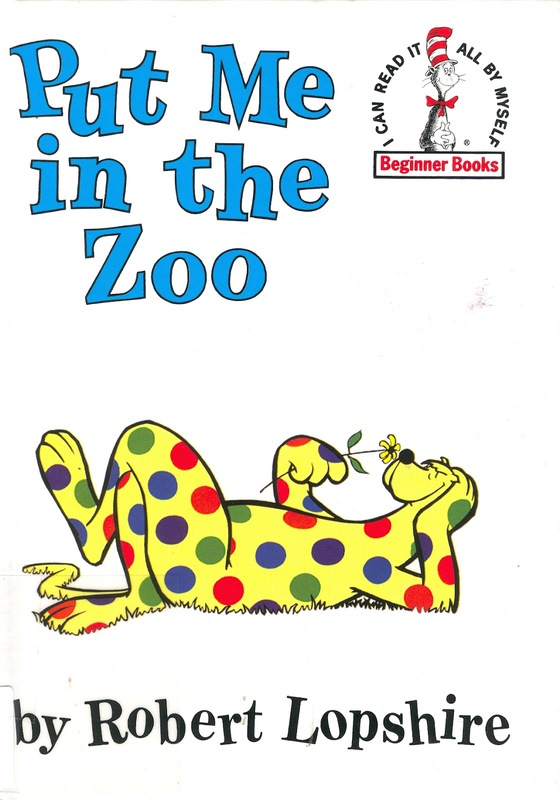 His favorite Dr. Seuss book was The Foot Book, btw. But, sadly, I wouldn't say he's a reader. He has certain likes in the reading world, but the first time an electronic gadget got his attention, he found his first love. Reading comes in a far distant second now. My little girl is a reader! For this summer we have a reading plan... 25 cents a book and when she reaches 40 we go on big vacation! I don't remember when my kids started "reading" but they both read every day. Well, my daughter if 4 and doesn't really read, but she does look at the pictures and creates stories around them, or if it's one we read all the time she will "read" what she remembers.